We would like to congratulate John Gagne for his purchase of the 29 Rockit equipped with a Mercury Racing 540 Engine, & Bravo XR drive. Best of luck with your boat John, and welcome to the Hustler Family! 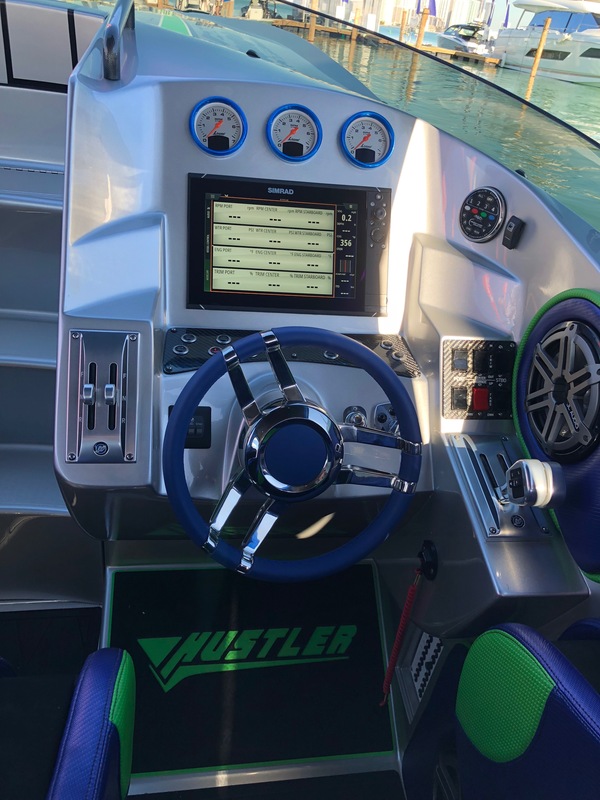 Hustler Powerboats Owner, Joe LoGiudice, is behind the wheel! He is taking a customer out for a water test on the 25 Talon with Twin Mercury Racing Optimax 300 XS’s. Watch the video yourself to see how well this boat runs! CALVERTON, NY– Hustler is pleased to announce that the 39 Shotgun has hit 100 mph during testing. 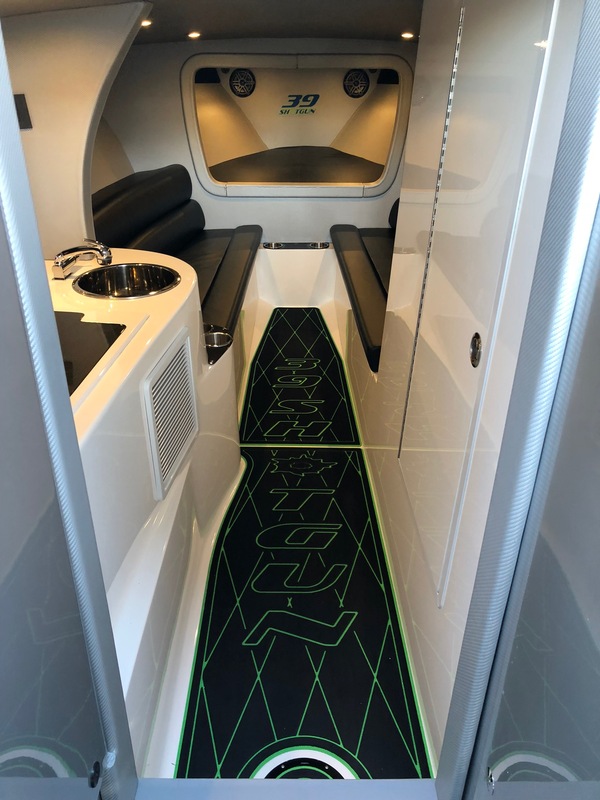 Equipped with triple Mercury Racing 400R Verados, the boat has hit 100 mph after several weeks of testing and dialing in the v-hull due to unseasonable weather conditions. 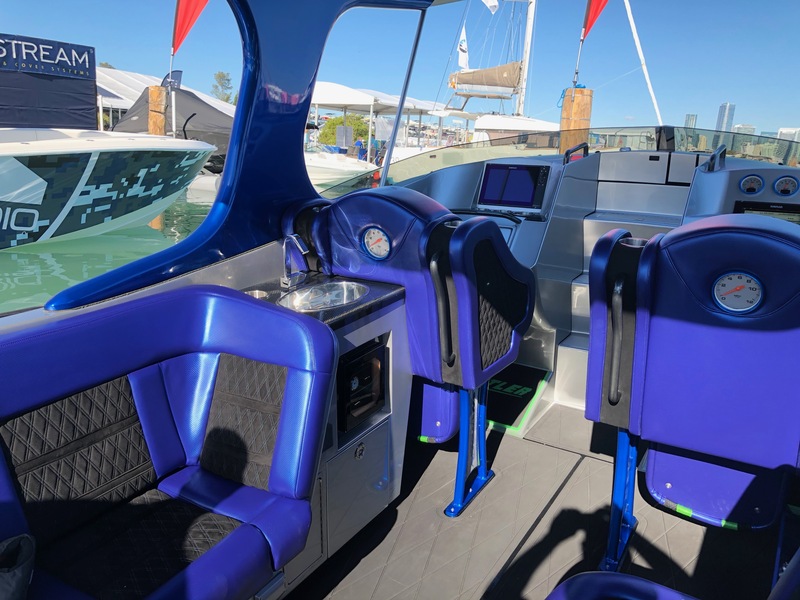 The 39 Shotgun is designed for people looking for accommodations and space of an outboard configuration without the need of sacrificing speed. Prices start at $649,000 depending on choice of power and options. 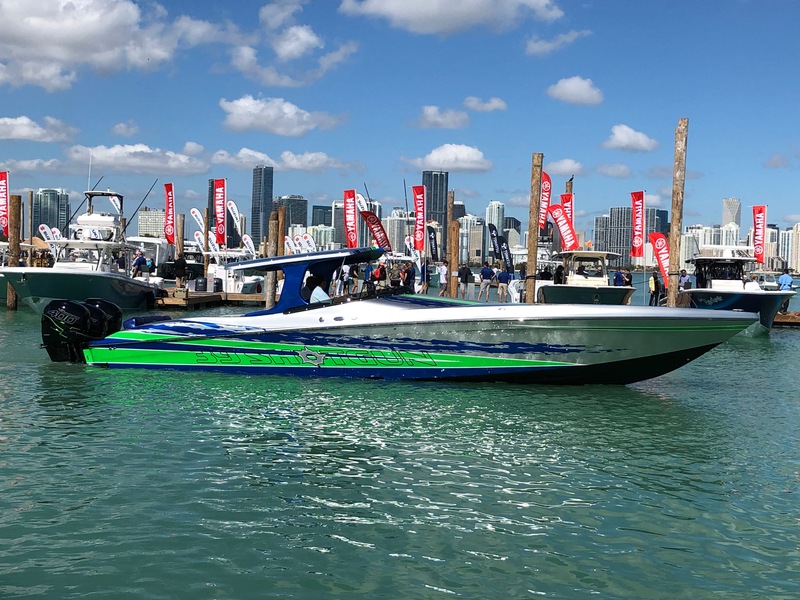 Unveiled at the 2018 Progressive Miami International Boat Show, the 39 Shotgun with triple Mercury Racing 400R’s was a huge hit! 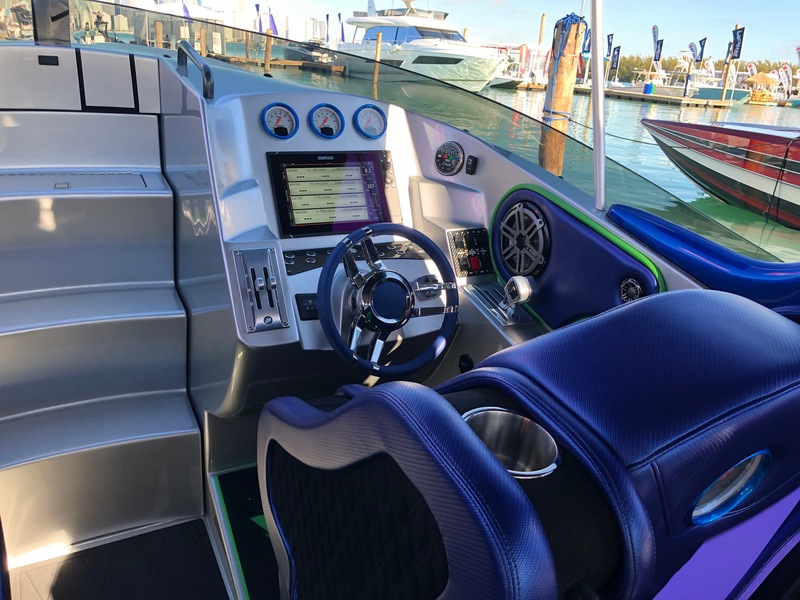 CALVERTON, NY- Global Marine Power, the parent company of Hustler Powerboats, is pleased to announce that the 39 Shotgun will be on display at the 2018 Progressive Miami International Boat Show. 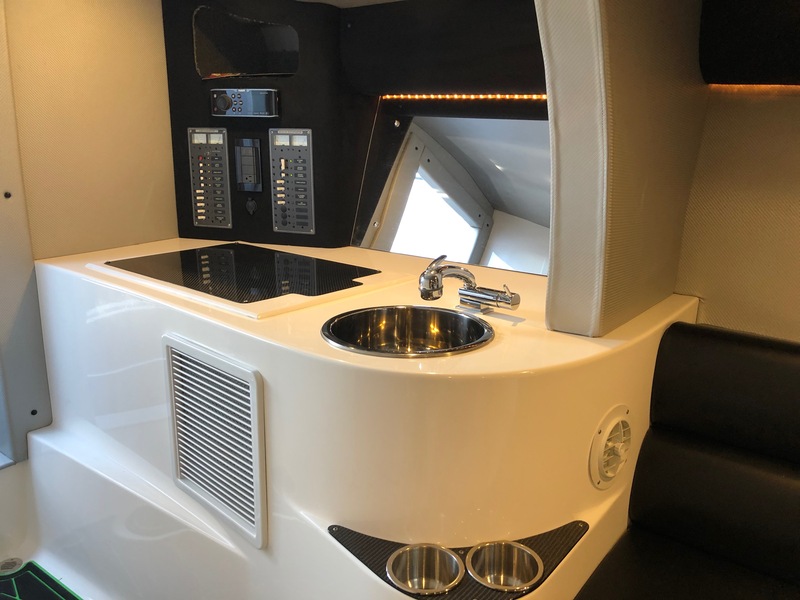 Currently in the final detailing stages, the 39 Shotgun is armed with a new cockpit layout to seat 10 people. 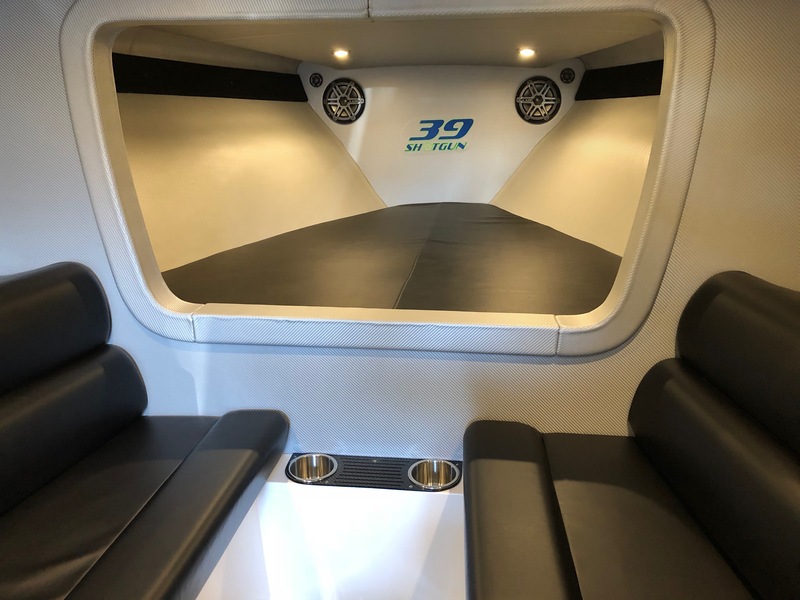 Along with the expanded cockpit layout, the Shotgun will feature reclining rear seats and a power table that rises from the floor. 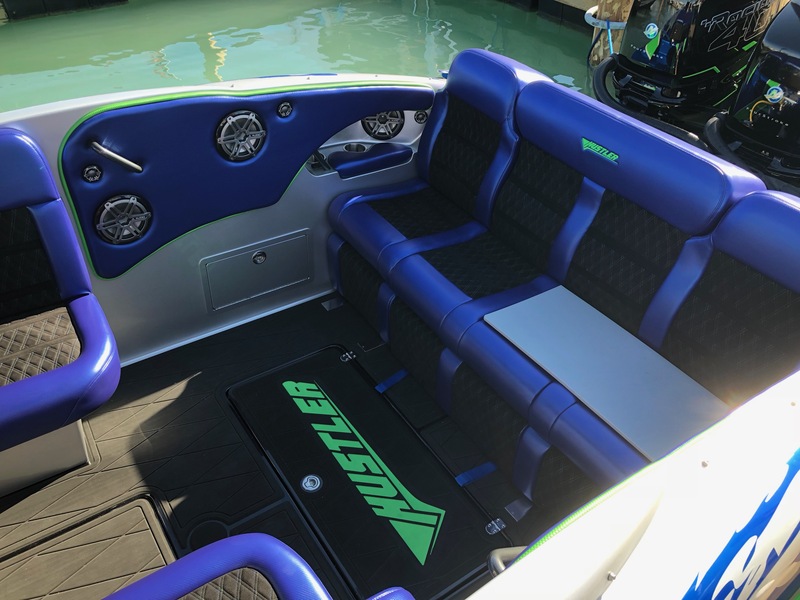 The Hustler 39 Shotgun will be displayed in the Mercury Racing In-Water booth #221. Deposits are currently being taken for building slots. Global Marine Power will also have an in-water booth at slip # 391, 393, & 395. 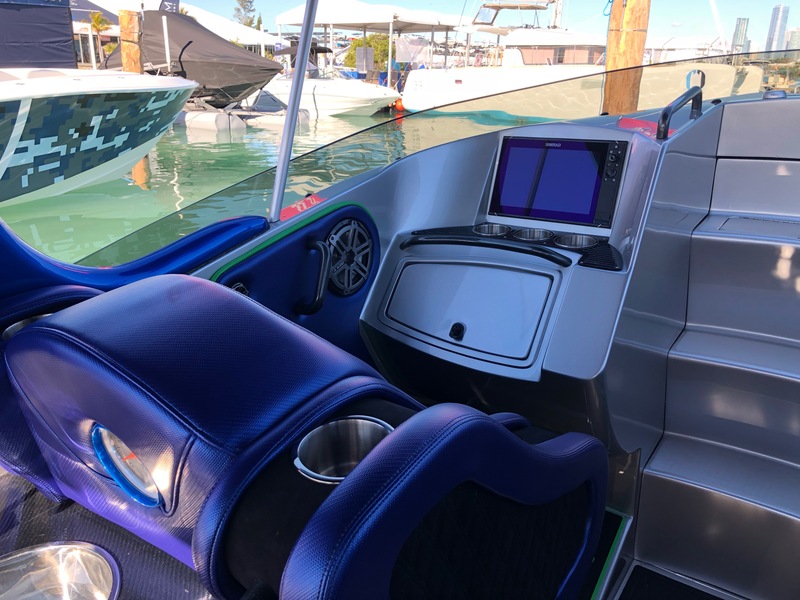 Based in Fond du Lac, Wis., Mercury Racing, a division of Mercury Marine, is a leading provider of high-performance marine propulsion systems for discriminating boaters worldwide, offering an exciting and fulfilling power boating experience on the water. 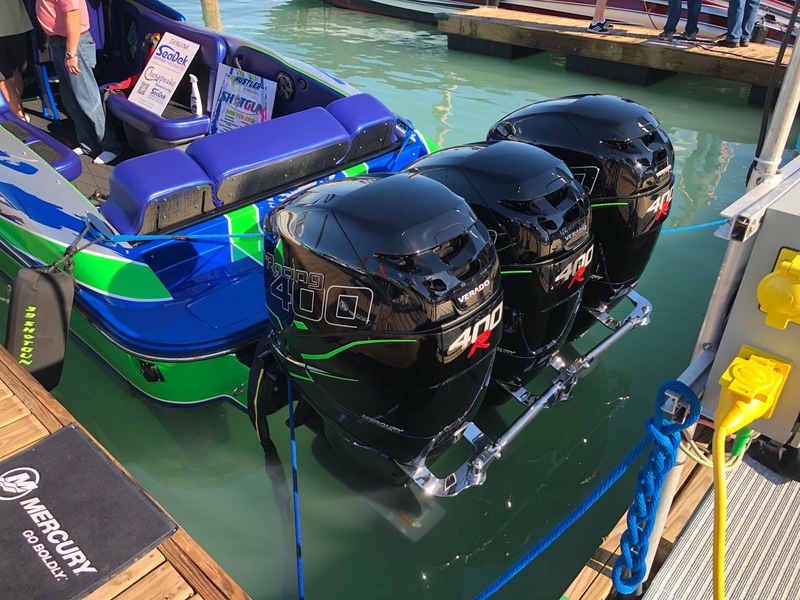 Using leading-edge technology, Mercury Racing produces high-performance outboards, sterndrives, propellers, parts and accessories. Mercury Racing also produces crate engines for the automotive aftermarket industry. Mercury Marine is a division of Brunswick Corp. (NYSE: BC), the world’s leading manufacturer of recreational products, including pleasure boats, marine engines, fitness equipment, and billiards.